Topic: The history of Albany County, Wyoming, to 1880. Homsher, Lola M. [Lusk? Wyo. : Lusk Herald, 1965]; The history of Albany County, Wyoming, to 1880. Homsher, Lola M. [Lusk? Wyo. : Lusk Herald, 1965]; Marguerite Herman. 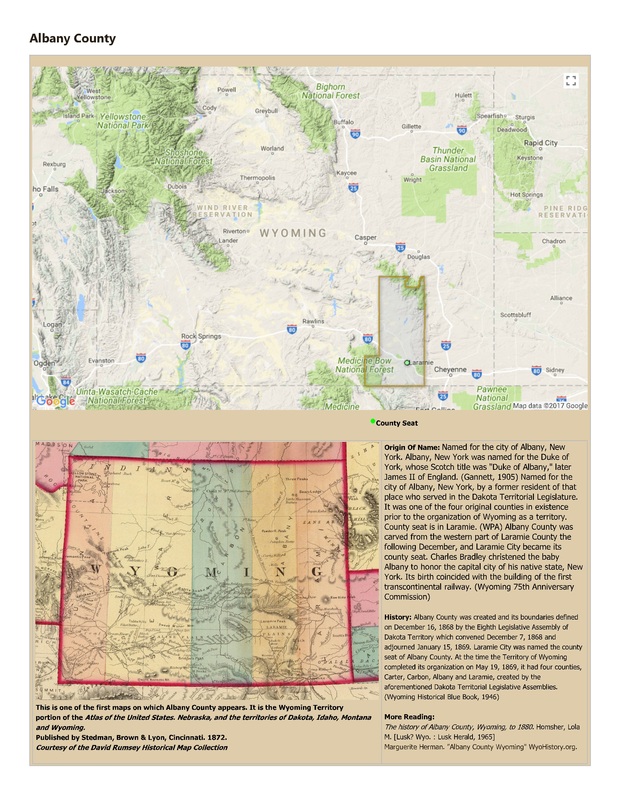 "Albany County Wyoming" WyoHistory.org.